On a recent visit to Argentina, I was interested to see how things have changed under the leadership of a new administration—in many cases, due to constructive policy reforms. Work still remains to be done to address challenges, and the path forward may be a little bumpy at times, but the progress we have seen has been encouraging so far. Here, my Argentina-based colleague Santiago Petri and I weigh in. President Mauricio Macri has instituted a number of changes, including the removal of currency controls on the Argentinian peso, tax reforms, revisions to how inflation statistics are calculated, new central bank appointments—and perhaps most importantly, settling with foreign creditors on long-ago defaulted debt. In my view, decisive and intelligent decisions have generally marked President Macri’s first year. A particularly positive development has been the tax amnesty law. And recently, ratings agency Standard & Poor’s upgraded the country’s long-term credit rating, citing progress in rectifying several macroeconomic imbalances, which is encouraging. Meanwhile, inflation has been trending higher over the past decade, running below 10% in 2007–2009 but then spiking to around 40% in 2016. Former President Cristina Fernández de Kirchner and her administration were accused of tampering with inflation statistics to hide the detrimental impact of big spending programs and an ever-increasing fiscal deficit the central bank had financed through currency printing. The administration attacked the National Statistics Institute, which reports consumer price index (CPI) data, and fired statisticians presenting data viewed as negative or unsupportive. Upon taking office, the new Macri administration immediately normalized the Statistics Institute so that Argentina now has a more reliable instrument to track inflation performance. Macri gave the central bank total autonomy, and the monetary authority seems to be making progress in taming inflation. Reducing inflation temporarily from dramatically high levels is a relatively easier task than bringing inflation down to a more sustainable, long-term, single-digit range. This is currently the central bank’s main challenge. Inflation is expected to decelerate this year to about 22%, but the government still views that as too high. Valuations of Argentine stocks have begun to come up from a price-earnings (P/E) ratio of about three times earnings in 2012 to about 12 times earnings in 2016.4 This is still lower than the peak achieved in 2007, when the Argentine market was selling at an average P/E ratio of 24. During our visit to Buenos Aires, my colleagues and I had a meeting with a leading Latin American e-commerce company. They said the potential in countries including Mexico and others in Latin America looks great because of the increasing penetration of the Internet. In particular, smart phones are gradually becoming ubiquitous around the world and allow retailing companies to reach more customers. 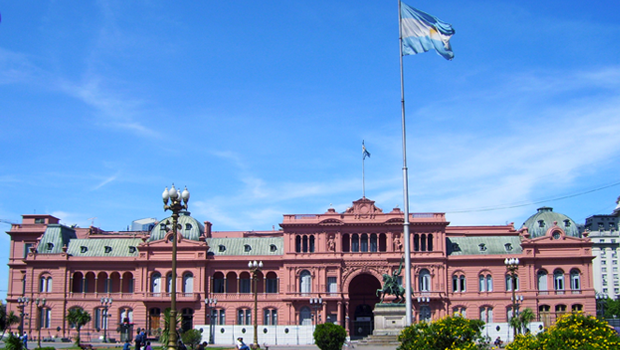 At one of the Argentine banks, we discussed the impact of Argentina’s high inflation rate. The bank’s loan growth had been running at about 35%, but when the inflation rate is subtracted from that, real growth is only about 15%. Currently the spread between their cost of funds and their lending is wide, aiding the bank’s profitability. Like other major banks in Argentina, profitability has been good. They said they are moving ahead aggressively on digital banking and paying particular attention to the younger generations (below the age of 27) in order to build a clientele for the future. At an Argentine oilfield pipe manufacturer, we learned that after a disastrous few years when oil prices crashed and the demand for pipes used in the oil and gas drilling plummeted, things were beginning to look up and demand for pipe was recovering. The company has global operations and is a testament to the technical, managerial and entrepreneurial abilities of the Argentinians. A leader in high-quality oilfield pipe, the company also has factories in other parts of the world where their oil-drilling clients operate. We marveled at the fortunate timing of a new plant the company built when oil prices were low and going lower; now that oil prices have recovered, the outlook has improved. At a large steel company, our discussion focused on tremendous excess capacity in China, and the closure of a number of steel mills there. In addition to operations in Argentina, the firm also has facilities in other Latin American countries. The company officials mentioned that labor costs in Mexico were much lower than in Brazil and Argentina. We discussed the new US administration and potential policies that would restrict imports and what impact this would have on their business—which could actually be positive in some scenarios. In 2001, Argentina defaulted on more than US $90 billion of its external debt and, refusing to negotiate with creditors, the prior Argentine president left the country’s ability to access bond markets in a holding pattern. In 2016, following the Macri Administration’s renewed efforts to pursue an agreement, Argentina was able to return to the capital markets with a bond sale deemed hugely successful. In January 2017, the government raised money through a number of different debt instruments. In addition, the government launched a tax amnesty program to give relief to Argentinians who had declared their offshore assets but had not paid taxes on them. As a result of the tax amnesty for those overseas holdings, a total of US $116,800 million was declared, representing about 20% of Argentina’s GDP. The total assets declared were made up of 17% (US $20.5 billion) real estate; 29% (US $33.6 billion) financial accounts; 29% (US $55.9 billion) investments; and 6% (US $6.8 billion) other. Of the assets declared, 80% were held overseas and 20% were held domestically.6 The tax collection related to the tax amnesty was 1.8% of GDP. We think this is a very encouraging development, as we expect that local investors could potentially allocate much of their now on-shore assets to local securities, providing a boost for Argentina’s economy. When Argentina’s new administration took office, it inherited a legacy of macroeconomic and microeconomic imbalances and distortions alongside a deterioration in the institutional framework. From a macroeconomic perspective, the economy was relying on unsustainable levels of domestic consumption for growth amid increasing fiscal deficits and low levels of savings and investment. From a microeconomic perspective, in order to avoid falling into a balance of payment crisis, the former government implemented Kafkaesque trade and foreign exchange controls. On the domestic front, when it could not control prices directly, the authorities opted to intervene in the Official Statistics Institute that surveyed inflation and other key statistics. Lacking a genuine source of funds for the Treasury, and having locked itself out of the international capital markets, the government also decided to subordinate the central bank to its financing needs, triggering a process of uncontrolled inflation and foreign reserves leakage. The new administration appointed a new central bank and staff able to defuse a ticking time bomb their predecessors caused through aggressive monetary expansion, aggravated by what some regard as reckless issuance of foreign exchange (currency) futures. At the same time, the new authorities eradicated the foreign exchange controls and unified the various foreign exchanges quotes into a single “dirty-float” system. Today, the central bank is implementing an inflation-targeting regime and has been able to reduce the inflation rate significantly. The challenging economic situation the current administration had inherited, including high poverty levels, prevented it from becoming very hawkish in tackling the fiscal deficit via spending reductions, which could have exacerbated Argentina’s economic contraction. As a result, the government’s strategy is to rely on foreign financing while setting declining, gradual deficit-reduction targets over the medium term. As the economy improves, it should be less challenging for the government to take spending adjustments than if the measures had to be taken in a recessionary environment. From my personal perspective, one of the boldest changes I see with this administration—which goes beyond the steps taken to allow the Argentine economy to resemble what a market-oriented economy looks like in other parts of the world—is a clear directive from President Macri toward transparency. Part of the 2016 economic contraction was related to a stringent audit process in the awarding and payment of public works, which rampant corruption in the previous administration had tainted. The audit process forced the new administration to halt public works, as the new authorities were reluctant to continue making payments on projects where corruption was suspected. The more transparent process has already resulted in a greater efficiency. The construction of roads (among other things) falls under the Ministry of Transportation, which claims it has been able to reduce the cost of prior bids by as much as 40% for the same project. Furthermore, some previous road projects were abandoned shortly after commencing, with only a few meters of road built, despite the bidder having cashed the full payment for the project. In contrast, the projects the new administration has undertaken are now finished. Argentina has suffered a decade-long drought of meaningful infrastructure investment in energy, roads, rails and ports as well as hospitals and schools. Private investment is relatively low, and we think a predictable and transparent policy framework should pave the way for attractive new projects. In the technology sector, many successful companies have already been publicly listed, and we think there could be many more companies qualified to go public in the near future. In our view, the normalization of Argentina opens the door for many more significant investment opportunities in the country. The complete removal of capital controls, which forced incoming flows to remain in the country for a period of time before being allowed to exit, was a significant development for investors. While many want change to happen overnight, the Argentine people largely understood the challenges the current government was facing when it took office and that it would take time to turn things around. The delay or slowness of Argentina’s economic recovery has negatively impacted confidence levels, but people still generally remain optimistic about the future. The economy reached a valley in the second half of 2016 and has since recovered very moderately and not in consumption-related sectors, so the general population may not be noticing this. The lack of a bolder economic revival has created some doubts about the government. The economy and consumer sentiment are likely to be crucial heading into the mid-term Congressional elections in late October of this year. A victory for the current administration should help recharge the current administration’s batteries to face the second half of the term, with the knowledge that it has the support needed to continue with its current program. A loss could pave the way for a consolidation of the opposition and a more challenging lame-duck period for Macri. Very recently, we saw a spontaneous pro-government rally in the country, which attracted a considerable number of people in favor of the government continuing its job (but not necessarily backing the government 100%). Observers perceived the event as a rally in defense of the democratic institutions and against some attempts from radical opposition factions under the previous Kirchner president to obstruct government and place the seeds for a bellicose social environment. We realize that it is difficult for the Macri government to make all the reforms it would like to make, in view of the political challenges in the short term. However, we expect that, after the midterm elections (assuming the Macri supporters grow stronger), reforms that are still in the process of being implemented will likely accelerate. If Macri is able to keep on this path—despite some consumer pain from issues including higher fuel prices and restrained wage increases—we think Argentina’s future prospects could be quite good. Mark Mobius’s and Santiago Petri’s comments, opinions and analyses are for informational purposes only and should not be considered individual investment advice or recommendations to invest in any security or to adopt any investment strategy. Because market and economic conditions are subject to rapid change, comments, opinions and analyses are rendered as of the date of the posting and may change without notice. The material is not intended as a complete analysis of every material fact regarding any country, region, market, industry, investment or strategy. 1. Source: IMF World Economic Outlook database, October 2016. There is no assurance that any estimate, forecast or projection will be realized. 3. Source: Bloomberg, year-to-date through April 5, 2017. The MSCI Emerging Markets Index captures large- and mid-cap representation across 23 emerging-market countries. The Merval is a price-weighted index representing select stocks on the Buenos Aires Stock Exchange. Indexes are unmanaged and one cannot directly invest in an index. They do not include fees, expenses or sales charges. Past performance is not an indicator or guarantee of future performance. See www.franklintempletondatasources.com for additional data provider information. 4. The price-to-earnings (P/E) ratio for an individual stock compares the stock price to the company’s earnings per share. The P/E ratio for an index is the weighted average of the price/earnings ratios of the stocks in the index. 5. Source: Bloomberg, data as of April 5, 2017. See www.franklintempletondatasources.com for additional data provider information. 6. Source: Argentina Ministry of the Treasury April 4, 2017.